When we say side-scrolling, the game spans across a horizontal terrain which is navigable by simple gestures to move forward, dash or climb platforms. 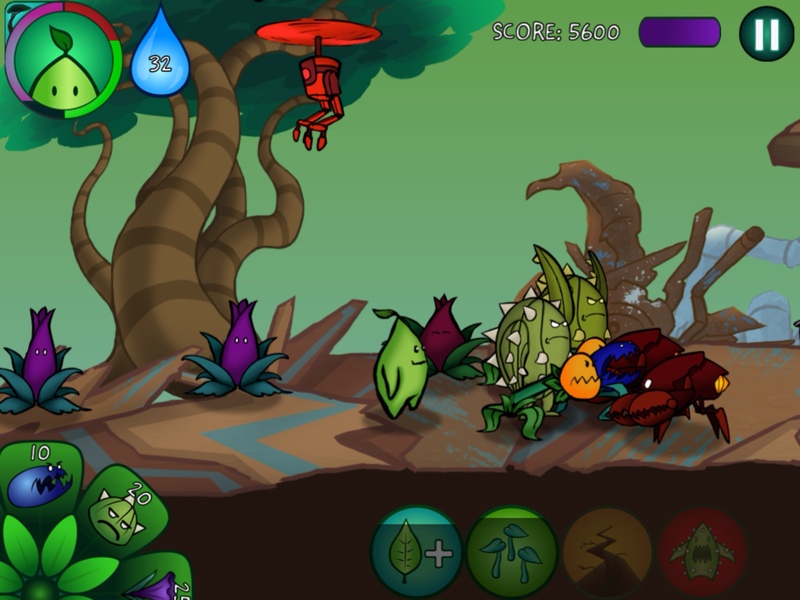 Enemies just show up and advance toward the giant tree relentlessly. 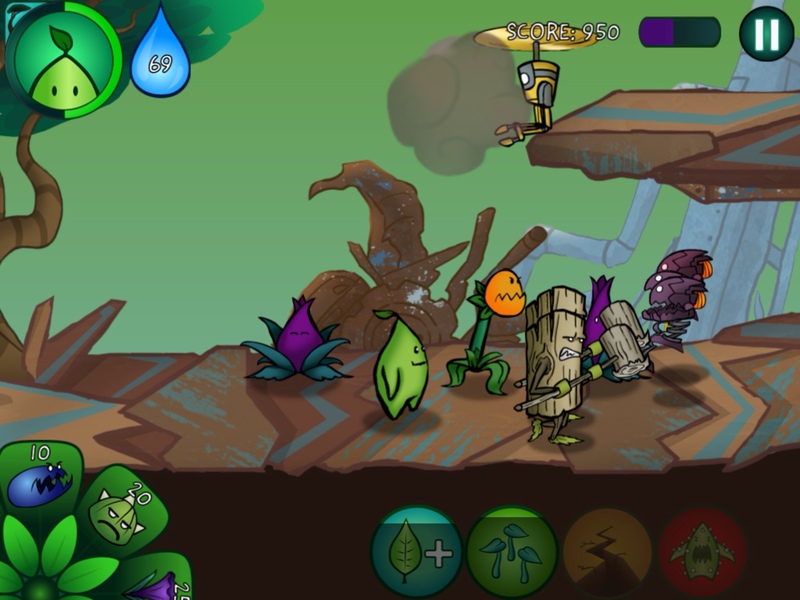 Each level successfully completed unlocks a plant and/or a special power up (reinforcements, earthquake, healing, etc.). 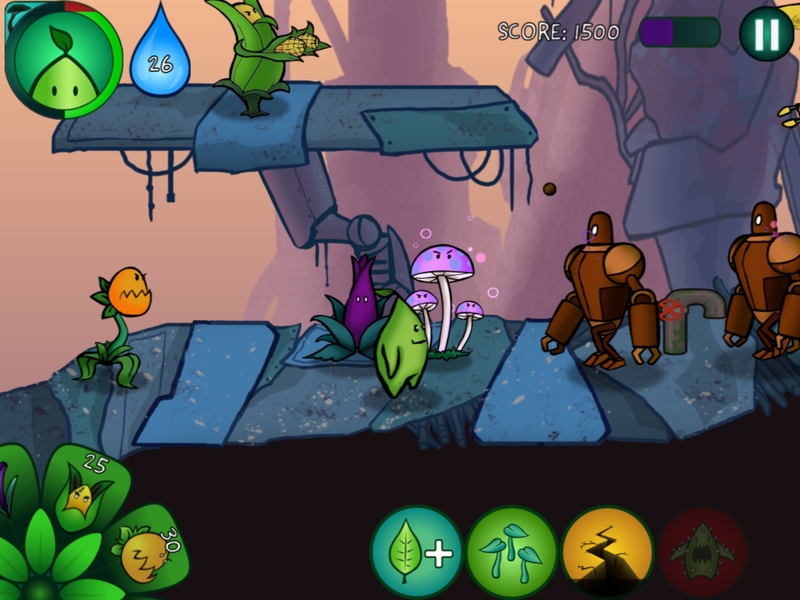 In addition, standing under water pipes help double, triple or even quadruple Sprout's resources. 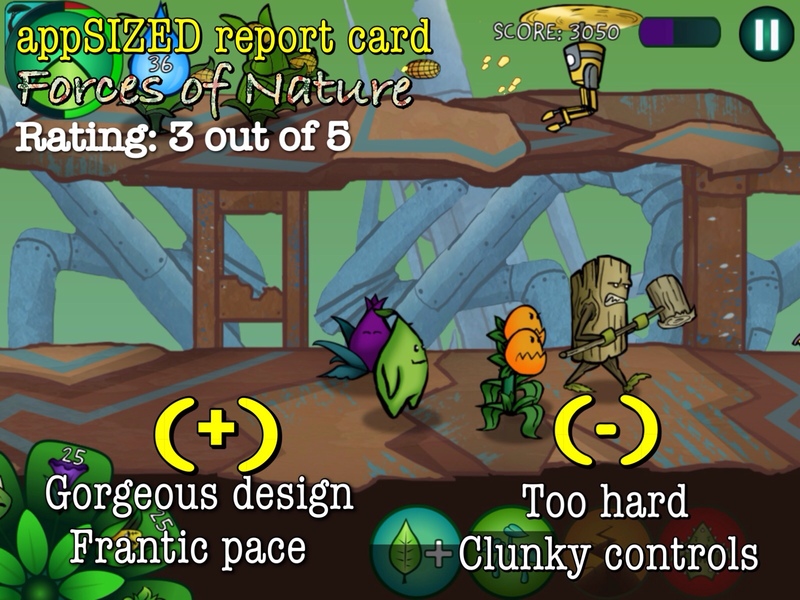 Strategy wise, Forces of Nature is tough to beat and may require several retries. I think the difficulty of the game needs further balancing. To be honest, it's hard to distinguish the enemies from each other based on strength, speed and damage inflicted. The enemies are overwhelmingly strong, even the 'weakest' units. Thus, the best I can do is to constantly hammer out fast and cheap units while waiting for more water. In the meantime, my basic gameplan is to rely on the reinforcement power up. Another problem I had with Forces of Nature is the controls. Sometimes I have to tap continuously on a power up to activate it, the fan-like style on the lower left also makes it difficult to accurately tap on the unit I want to create. Dashing is also a bit of a problem, especially when I'm too far away from the unit I want to dash through. The flawed implementation of the controls makes the game even more difficult. Further tweaks in the gameplay and balancing will do wonders for Forces of Nature I hope the developers will also consider providing a bit more information about the health, power and speed of the different units in terms of numbers, just to have a fair idea of how to strategize. I'm in love with the art and the concept, though. 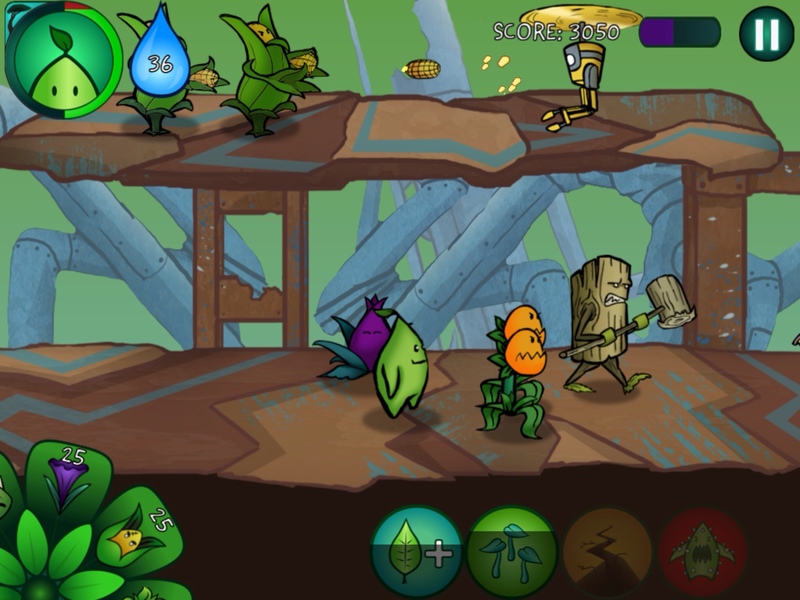 This is a strategy game with a heart and a message that should resonate with the tree hugger in all of us.